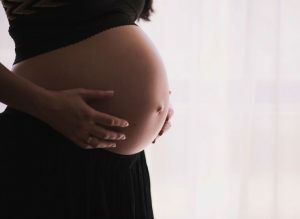 Women who develop dangerously high blood pressure during pregnancy, a condition known as pre-eclampsia, are at increased risk of developing Alzheimer’s disease and other forms of dementia later in life, according to a large new study. The findings suggest that women with a history of pre-eclampsia should be especially encouraged to take heart-healthy measures earlier in life that may help to protect brain health many years down the road. Pre-eclampsia is marked by abnormally high blood pressure and other problems during pregnancy. It affects an estimated 3 percent to 5 percent of pregnant women and poses immediate risks to both mother and baby. Earlier studies have suggested it could predict cognitive problems for the mother later in life. But those studies were fairly small. For the new study, in BMJ, researchers in Denmark looked at the medical records of more than 1.1 million women in the country who gave birth between 1978 and 2015. They compared women who had developed pre-eclampsia with those who had not had the complication of pregnancy. They found that those women who had developed pre-eclampsia were three times more likely to develop dementia later in life than similar women who had not had the condition. The women who had pre-eclampsia were at particularly high risk of developing vascular dementia, caused by impaired blood flow to the brain, after age 65. But they were also at modestly increased risk of developing Alzheimer’s disease, the most common form of dementia. The link persisted even after the researchers considered the impact of conditions like heart disease, heart attacks, strokes, heart failure, and diabetes, all factors that can impair the brain. 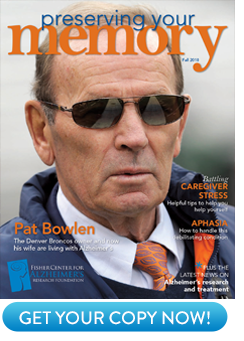 Many people with Alzheimer’s disease have some degree of vascular dementia as well. Asking about a history of pre-eclampsia “could help physicians to identify women who might benefit from screening for early signs of disease, allowing for early clinical intervention,” they add. Such measures might include reducing blood pressure and cholesterol levels, keeping weight down, and keeping diabetes under control, all of which could help to promote brain health. While exercise and diet won’t prevent Alzheimer’s, they may help to slow the onset or progression of symptoms like memory loss and troubles thinking. Until a cure for Alzheimer’s is found, preventive measures are a good bet for anyone at risk for the disease.